Fabio Cannavaro will join Al Ahli after he has defended his World Cup title in South Africa with Italy. 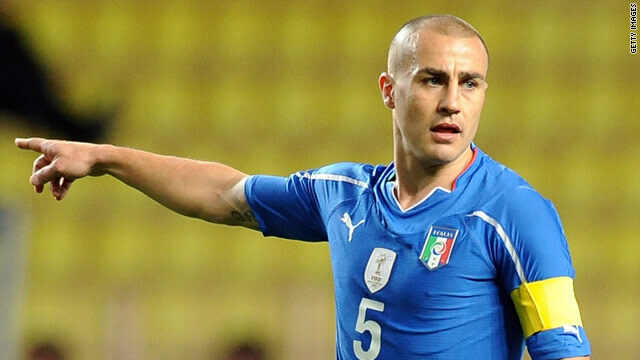 (CNN) -- Italy's World Cup captain Fabio Cannavaro has made a surprise decision to end his career in Dubai. The 36-year-old has signed a two-year deal with reigning United Arab Emirates league champions Al Ahli after failing to find a new club in Serie A following the end of his deal with Juventus. In a statement on its official Web site on Wednesday, the Dubai-based club confirmed that Cannavaro would move to Al Ahli after the World Cup in South Africa, which starts on June 11. "We announce that we have signed Fabio Cannavaro for two years," Abdullah Al Nabooda, chairman of Al Ahli's board of directors said. "This deal with a player like Cannavaro is one of the most important deals for us because he's a player with great experience and talent, while he's also a leader on the field." Cannavaro -- who has 132 caps for his country and led the Italians to victory over France in the 2006 World Cup final -- is planning to retire from international football after the South African tournament, which will be his fourth. He played at Inter Milan and Real Madrid before moving to Juventus in 2009, and had hoped to earn a deal with his hometown club Napoli, where he began his career. "The option to extend my deal with Juventus has expired. I want Napoli, but they don't want me," he told Italian sports paper Tuttosport last week. However, Cannavaro said he was now happy to make the move to the Middle-East. "I am happy to sign for Al Ahli for the next season. I was already planning to go and live in Dubai, I love that city. It's a dream come true," he told Italian newspaper La Gazetta dello Sport. Meanwhile, British media have speculated that Al Ahli is also interested in signing manager Harry Redknapp, 63, from London-based English Premier League side Tottenham next season.